Planning a beach trip to the Philippines anytime soon? 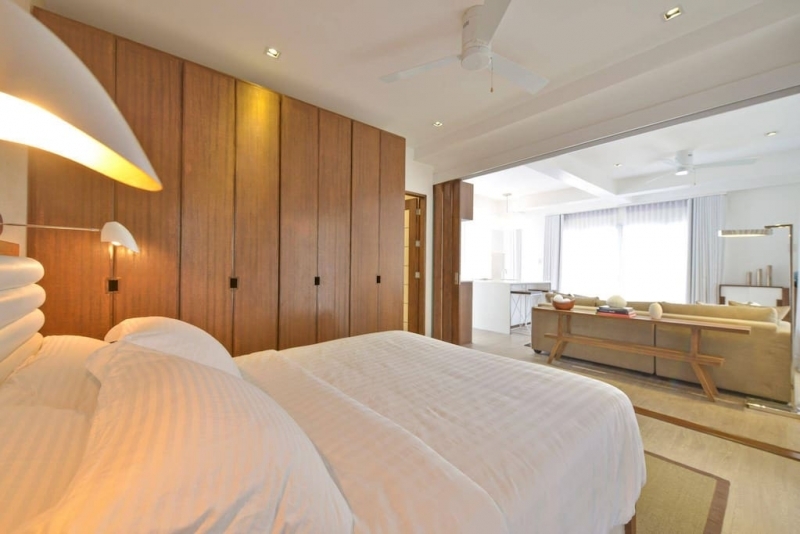 It’s high time you book a stay in Boracay island! After a well-deserved break from taking in tourists, the famous summer destination is back and more beautiful than ever. 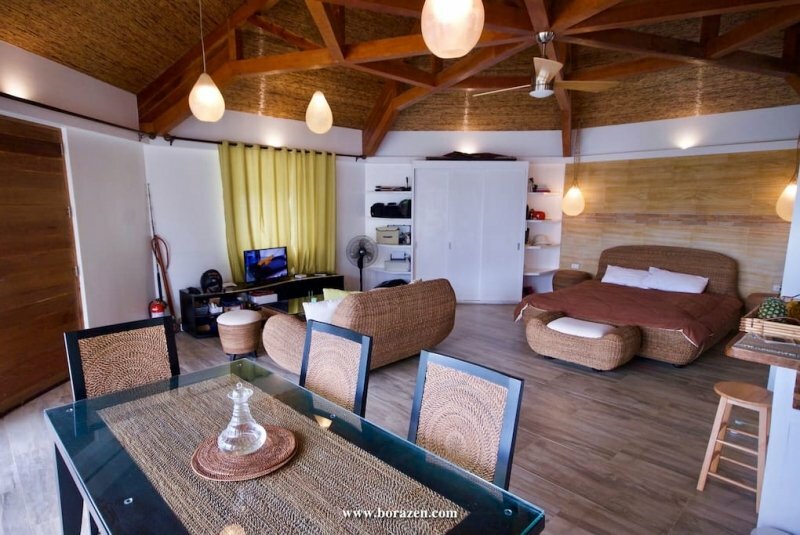 To help provide you with an authentic island experience, we found the 10 best Boracay Airbnbs. 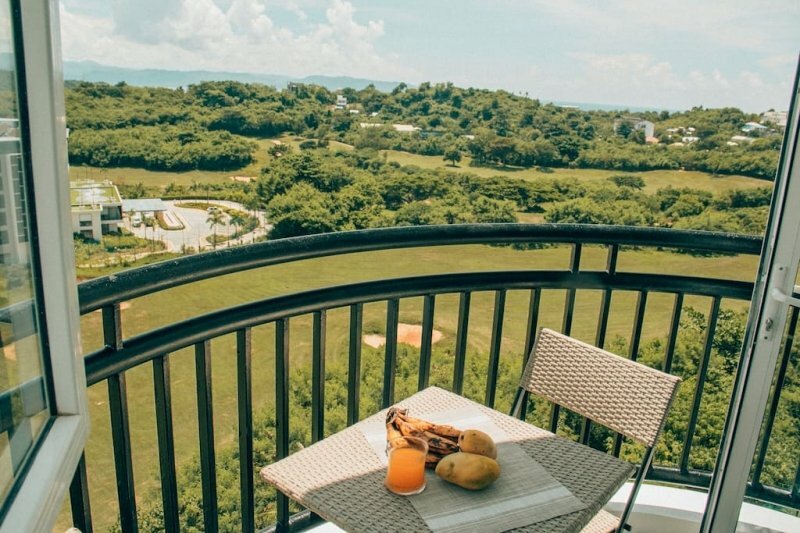 Check them out below — we’re certain you’ll discover your perfect home away from home on the island. 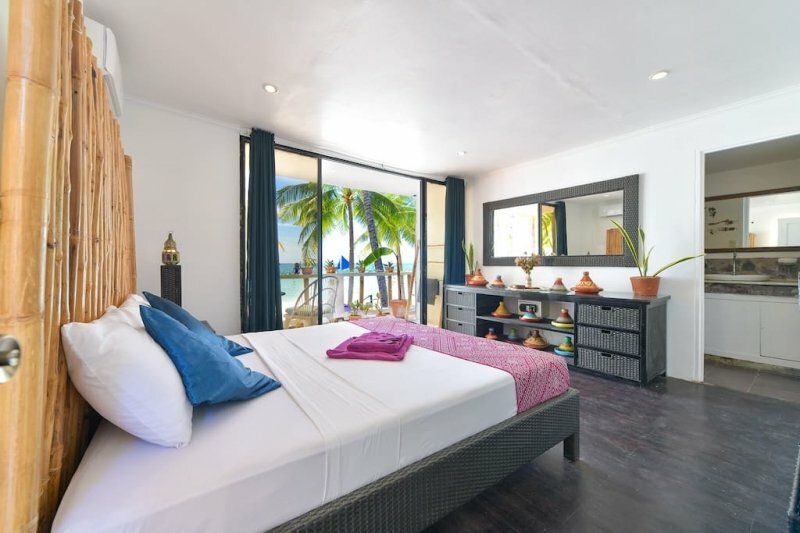 Looking for a beachfront stay for two? Look no further. 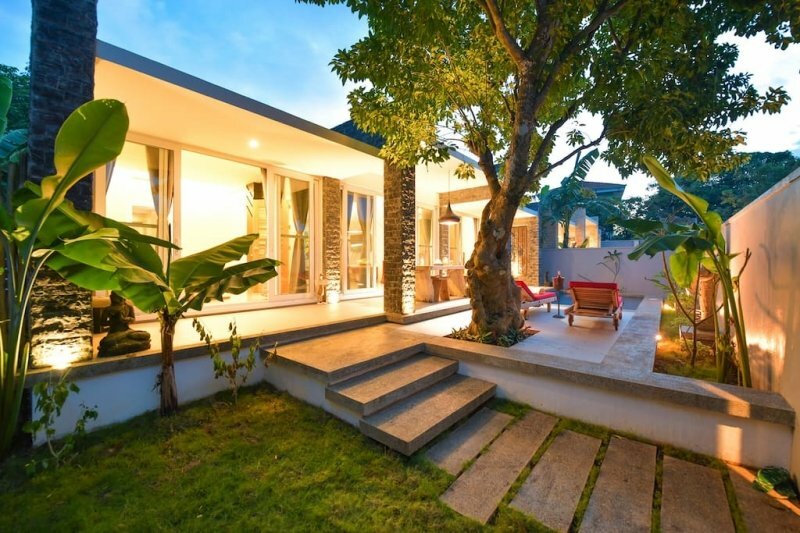 This modern bungalow is a tranquil retreat albeit its location right in the middle of the famous White Beach. From here, you can quickly get to D’Mall — Boracay’s open-air mall, often considered the island’s centre. You’ll also have an easy time getting to the meeting points for cliff diving at Ariel’s Point, Paraw sunset sailing, and other island activities! Learn more about this Airbnb here . If you’re looking for a secret spot on the island, congratulations! You’ve found it. 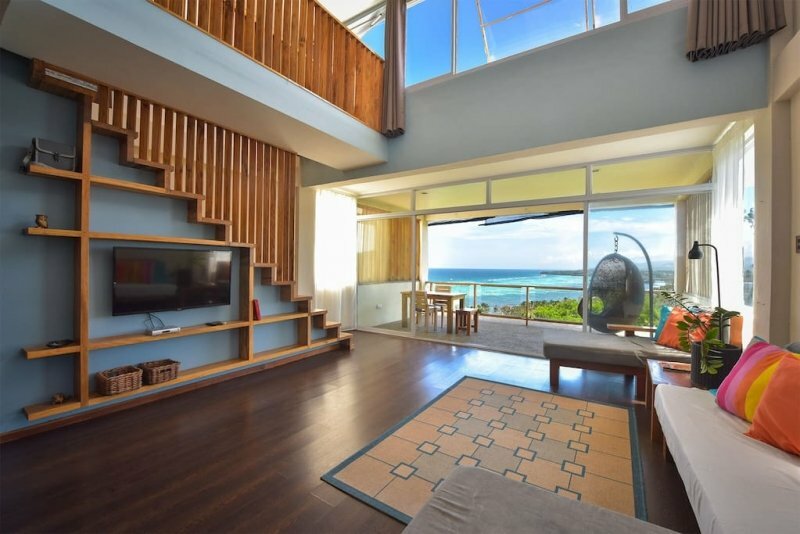 A stay at this Airbnb will get you three storeys all to yourself, a rooftop with exceptional 360 ° views of the island, and easy access to three secluded beaches. 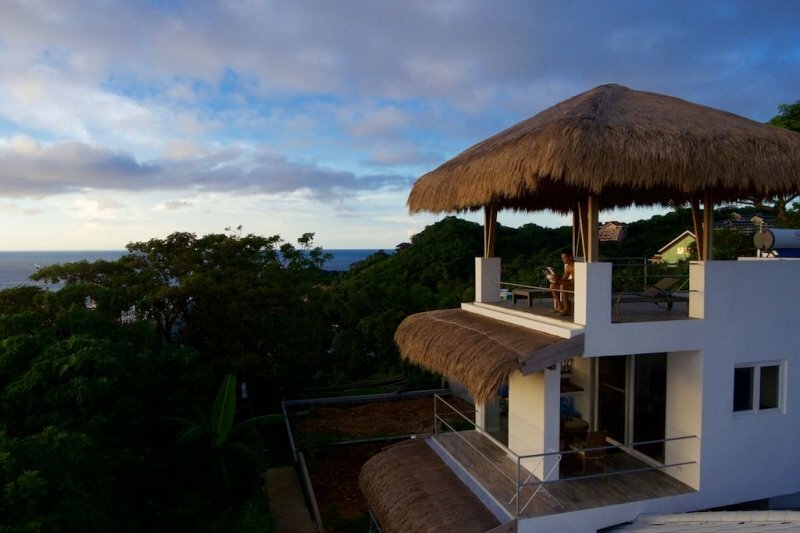 While this hilltop home is tucked away from Boracay’s touristy locations, everything is just a tricycle ride away! Learn more about this Airbnb here. 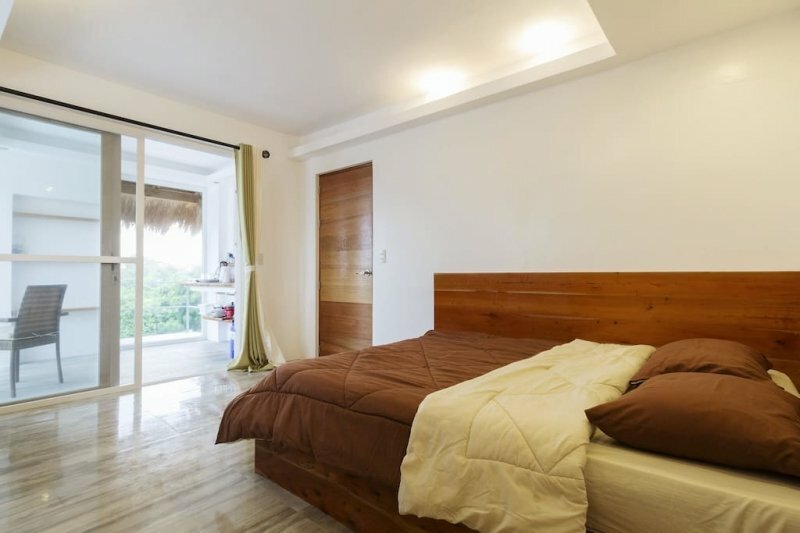 Listing name: Boracay luxury 1BR Apt-awesome beach access only! 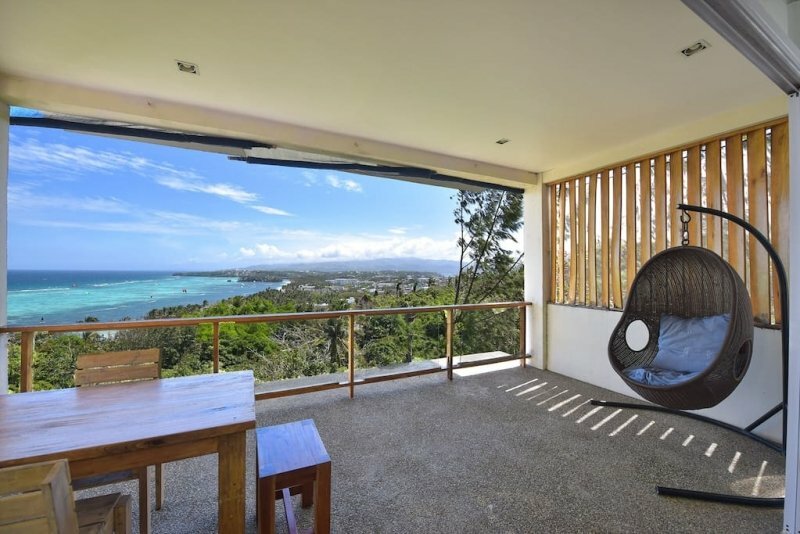 This listing is a gem for those looking for a more contemporary island stay. 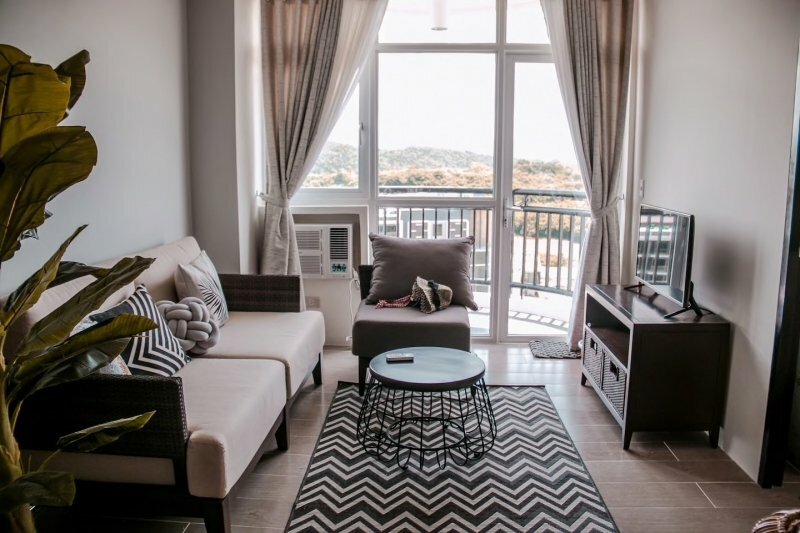 A 10-minute walk from the centre, this modern apartment is just steps away from Bulabog Beach — a favourite spot for those who love kitesurfing and windsurfing! 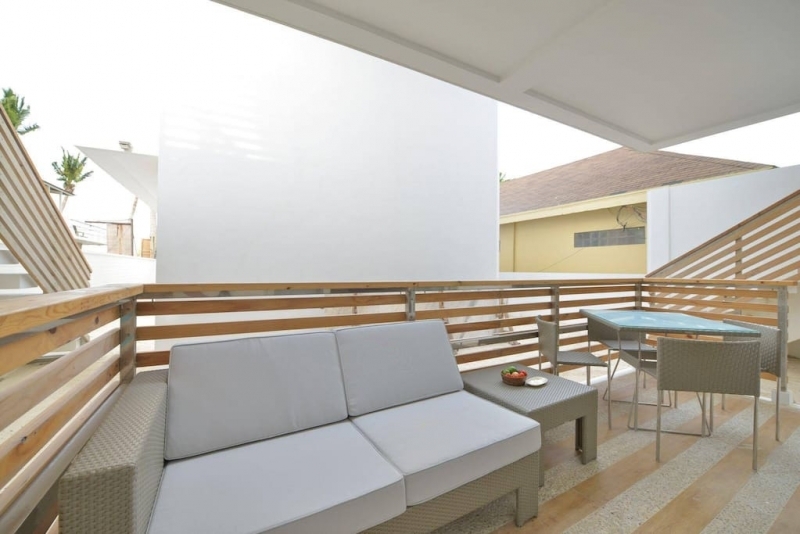 When staying at this Airbnb, be sure to take advantage of its rooftop terrace; it’s a great spot to catch the Boracay sunrise! Learn more about this Airbnb here. 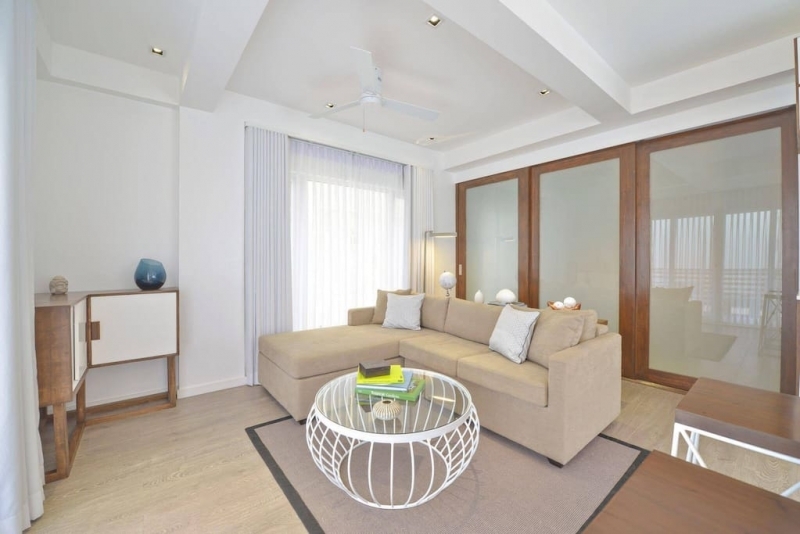 This modern studio is situated in an upscale residential neighbourhood — away from buzz, but just three minutes to White Beach. 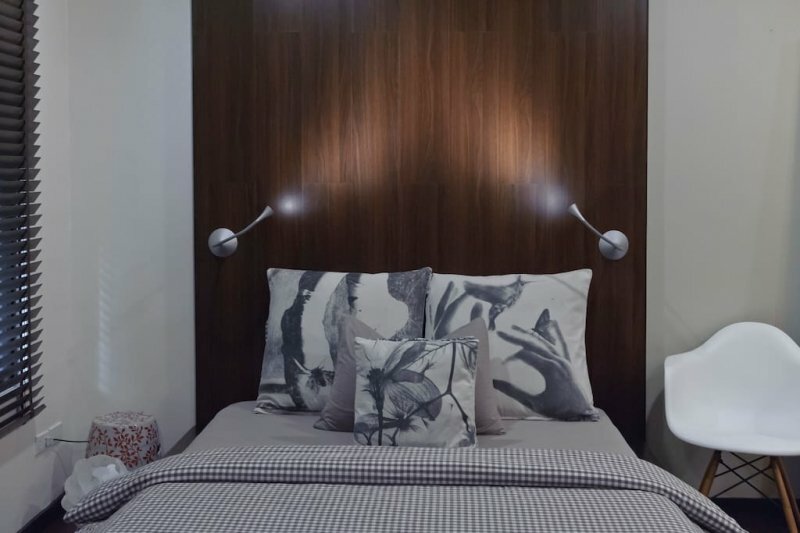 Thanks to Airbnb superhost Ron, the apartment is fully furnished with everyday living essentials and thoughtful touches here and there — definitely more than your average hotel stay. 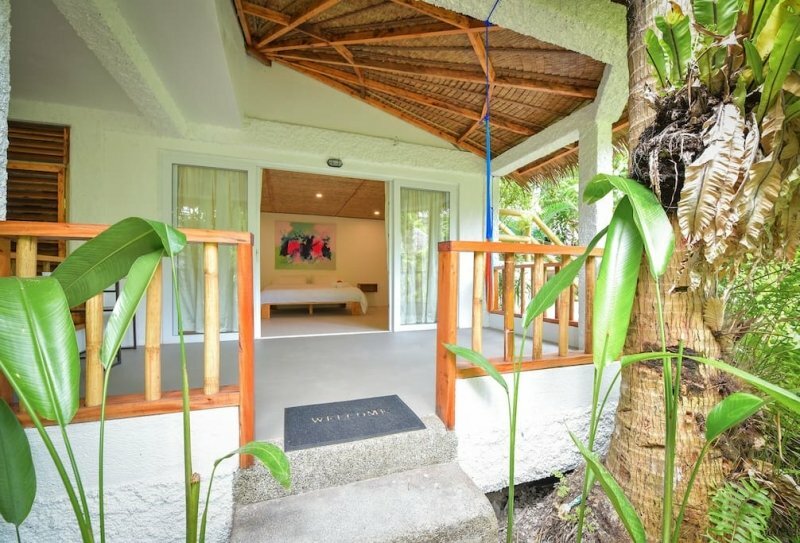 When stepping out of this Airbnb, maximise your time at this not-so-touristy spot and discover more of Boracay’s nearby hidden gems! Learn more about this Airbnb here. Tucked several kilometres (but just a scooter ride!) 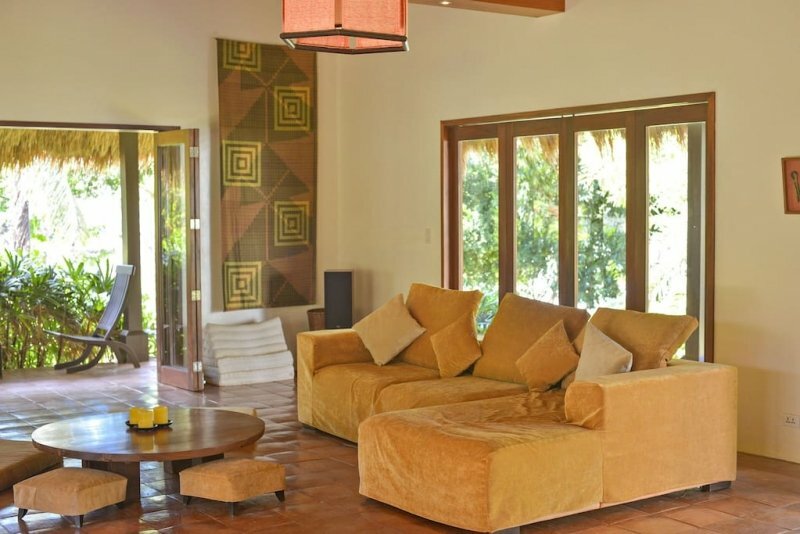 away from Boracay’s centre is this private two-bedroom villa. 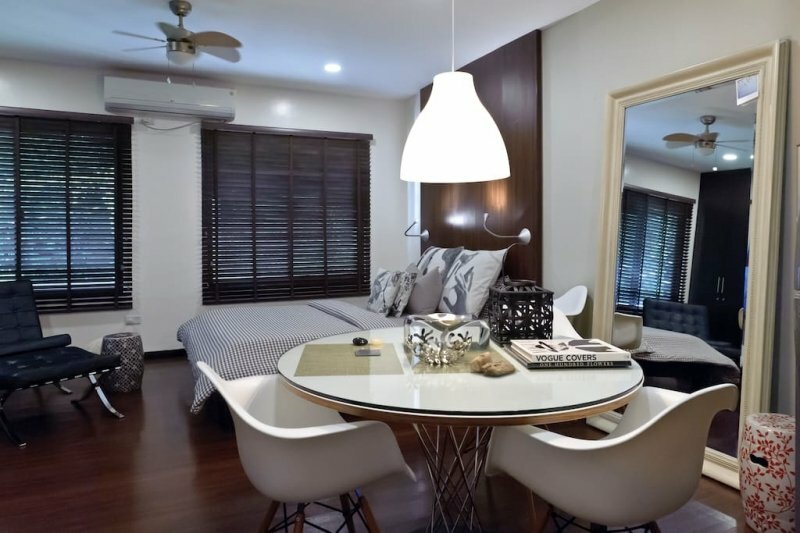 Because this is Airbnb host Jean-Luc’s former home, you’ll find that it’s well taken care of, with lots of high-end furniture and a fully equipped kitchen. 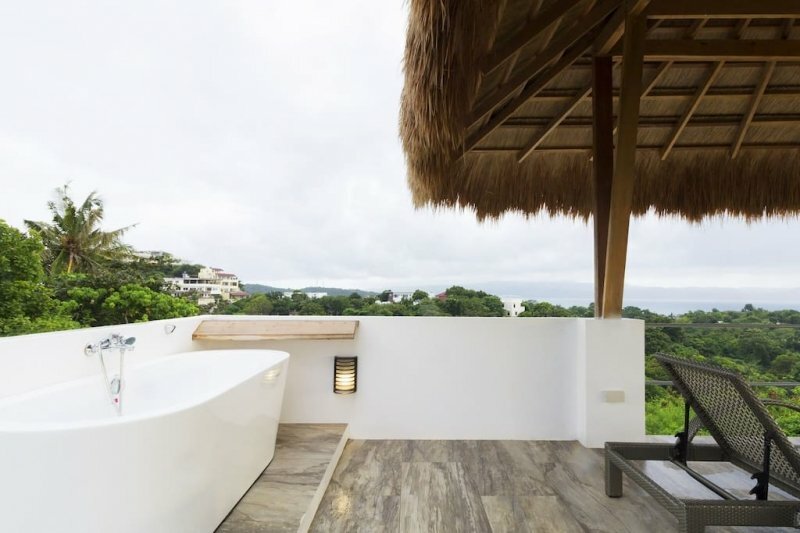 Owing to its hilltop location, you can enjoy the amazing views from anywhere in this villa — including the infinity-edge rooftop tub! Learn more about this Airbnb here. 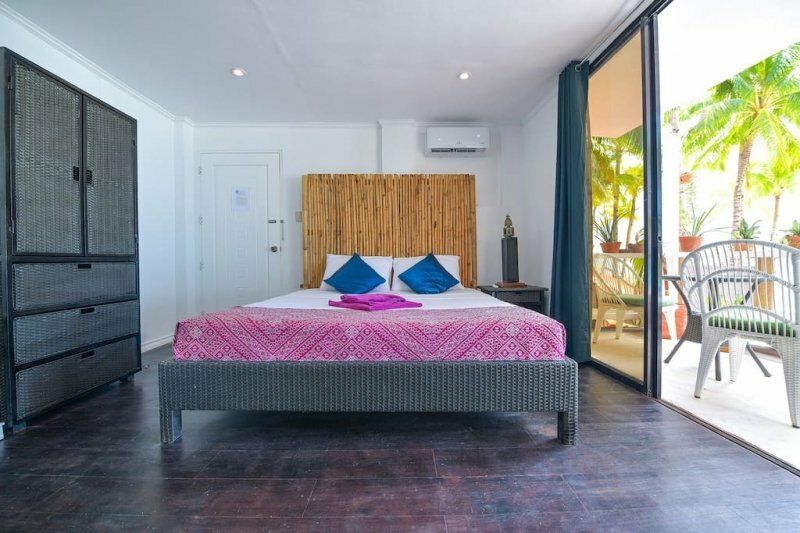 At this brightly coloured Airbnb right on White Beach, you’re guaranteed to enjoy some of the best sunset views the island has to offer. 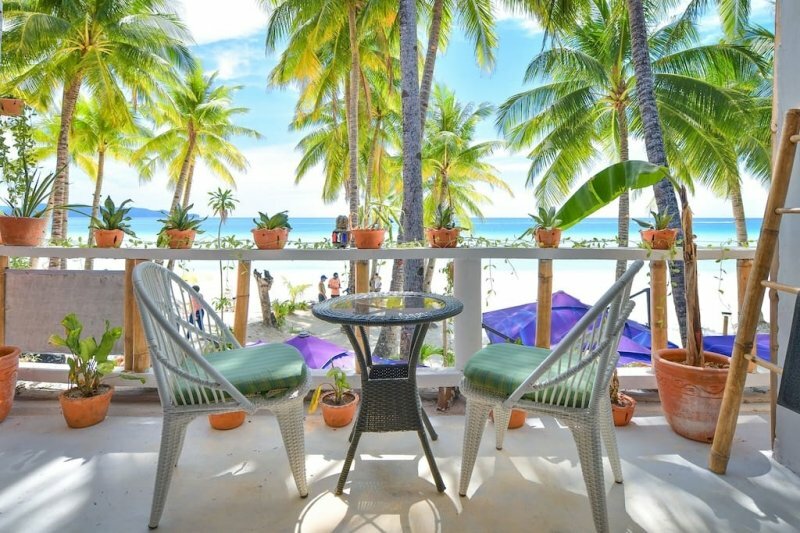 It’s also located next to some of Boracay’s famous resorts like Discovery Shores, Friday’s, and Two Seasons, and more — you’ll want to eat at their in-house restaurants and enjoy their happy hour offerings! Make sure to add Kasbah (the Moroccan restaurant you’ll find below this Airbnb) to your list of places to eat, too! Learn more about this Airbnb here. 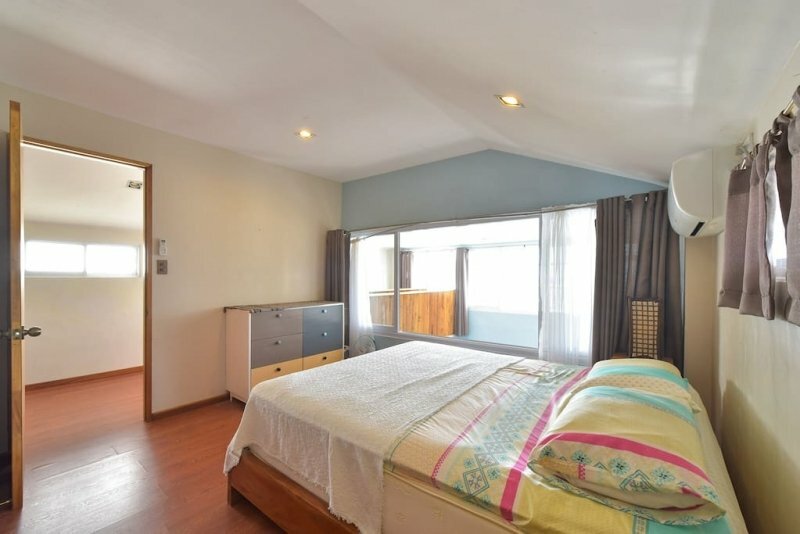 For a place that houses five guests, this Airbnb will certainly get those travelling in groups more bang for their buck. It’s a 100-metre climb up to this hilltop villa, but previous guests promise that the views are worth it — and we agree! Though it’s away from the island’s centre, a walk down the hill will get you right to Boracay’s less crowded Bulabog Beach. Learn about this Airbnb here. 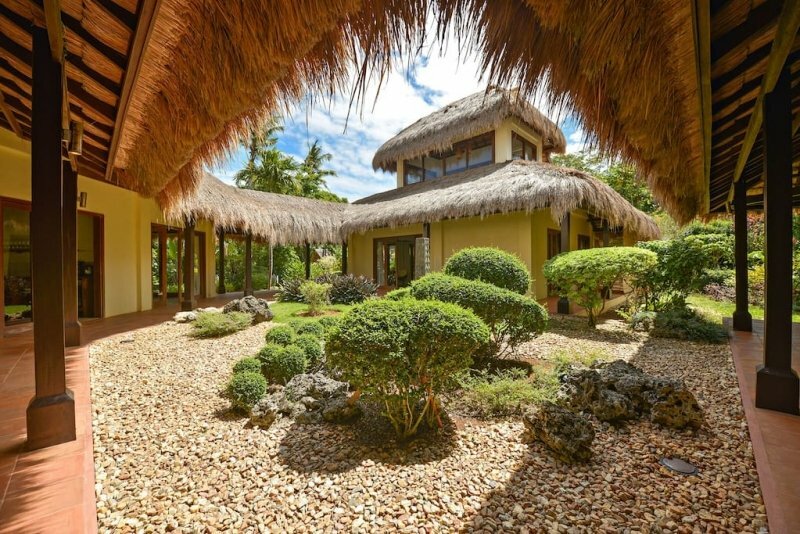 This Balinese-style villa is certainly one of Boracay’s best-kept secrets! 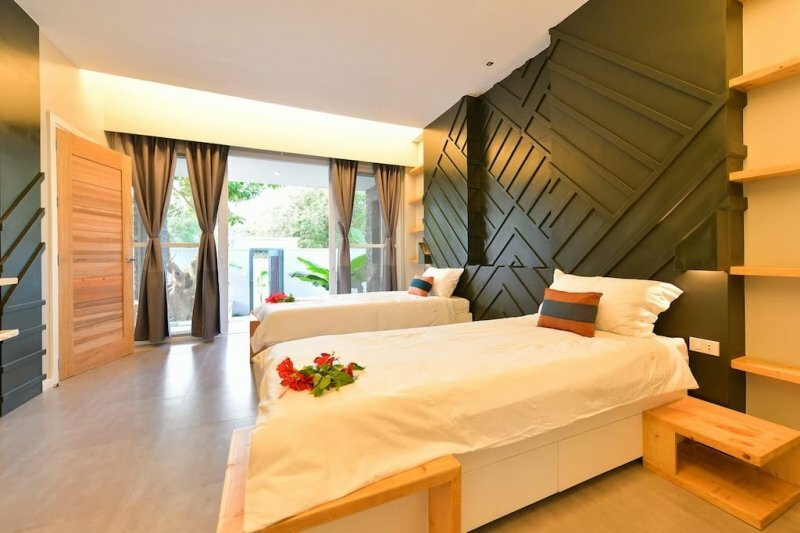 In addition to the beautiful interiors and outdoor lounging area, you’ll be welcomed to this Airbnb with fresh fruits and a bottle of wine. At this remote location, you’ll be right by Diniwid Beach, one of the island’s more secluded beaches. 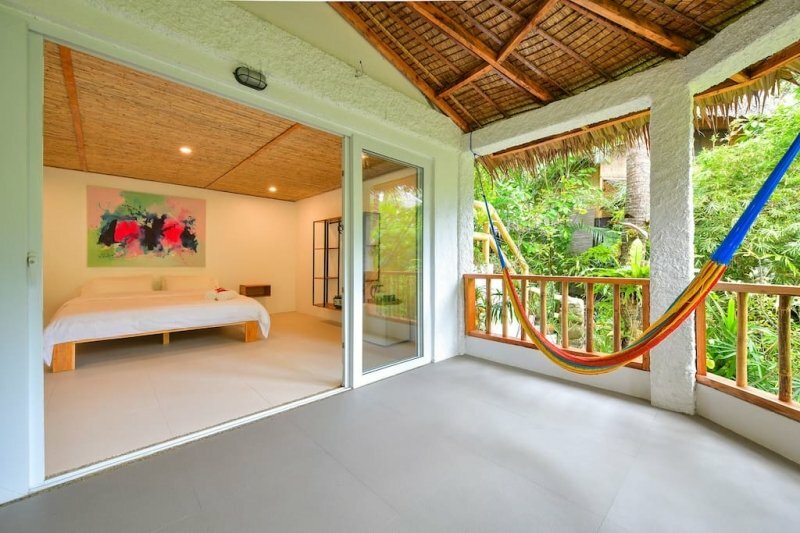 The property is absolutely Instagrammable and it’s perfect for exploring more of Boracay’s under-the-radar spots! Learn more about this Airbnb here. Those who often travel in big groups know that it’s a challenge to find a single accommodation that fits everyone! 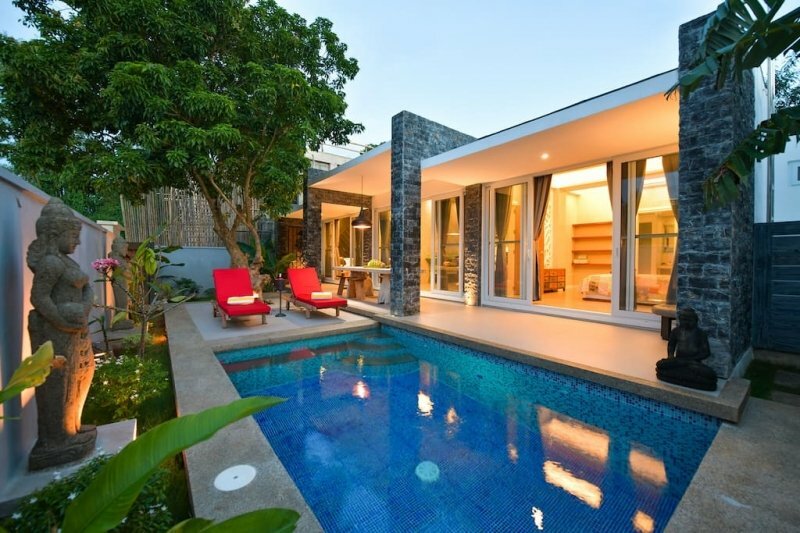 With that in mind, the fact that this four-bedroom villa can house up to 12 guests makes it so much more of a great steal. In between D’Mall and the more secluded Diniwid Beach, this Airbnb is a quiet place to rest after a day of exploring the island. Learn more about this Airbnb here. 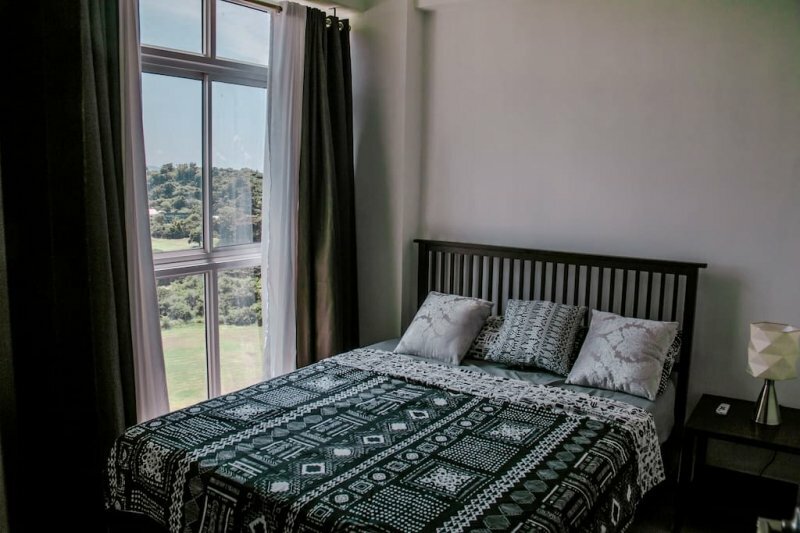 A great choice for a not-so-typical stay on the island, this brand new apartment is located at a gorgeous, under-the-radar beach called Ilig-Iligan. 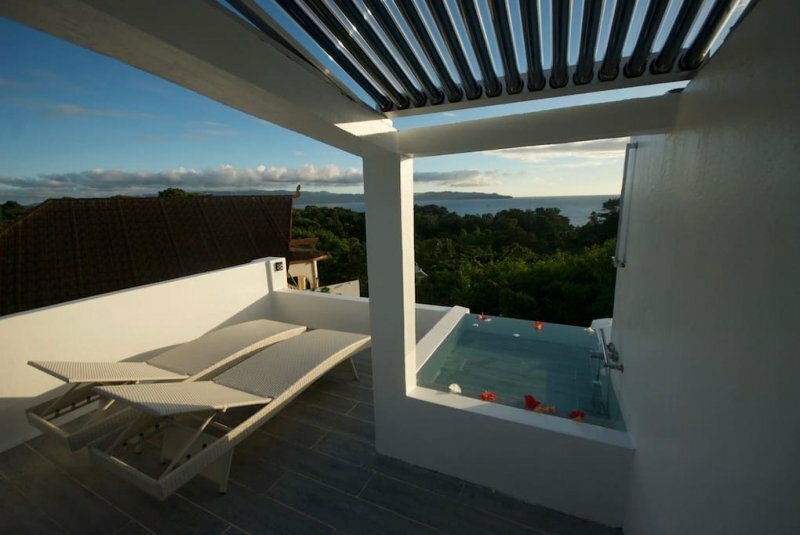 It’s a significant distance from Boracay’s centre, but it’s very much worth the travel. With almost no establishments or tourists in sight, you can better enjoy its white sand and crystal clear waters. 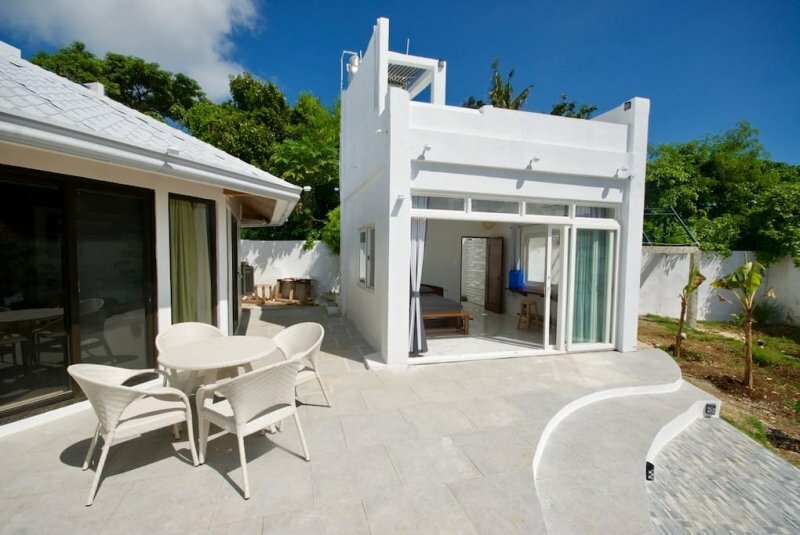 No need to worry about getting to the island’s main areas, though — this Airbnb provides a free shuttle service to take you to the centre and back! Learn more about this Airbnb here. Well, what are you waiting for? 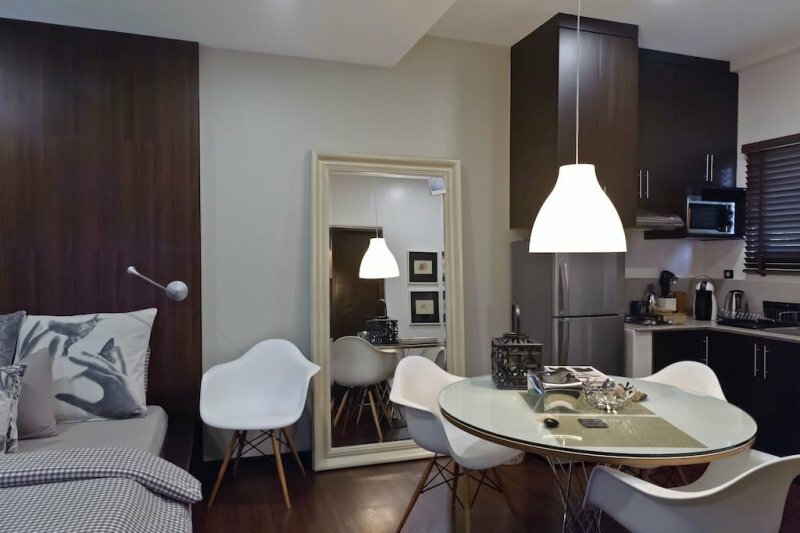 Judging from the reviews and ratings, these listings are very popular with travellers, so you better act fast. 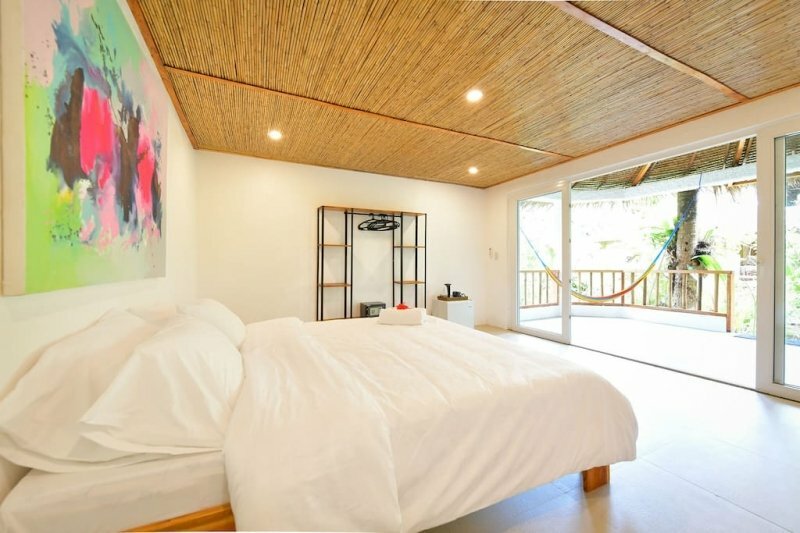 Don’t miss your chance to stay at one of these Boracay Airbnbs!